I can't count how many times we worked out there in the wood pile, just my brother and me. Gary always had his headphones on, plugged into an Oak Ridge Boys cassette on his Sony Walkman knockoff. Down the axe would come, over and over again, steamy breath encircling his head with every exhale. It was hard, and his arms and back muscles bulged from all that work. Sometimes his coat would come off, even when the temperature hovered around zero. 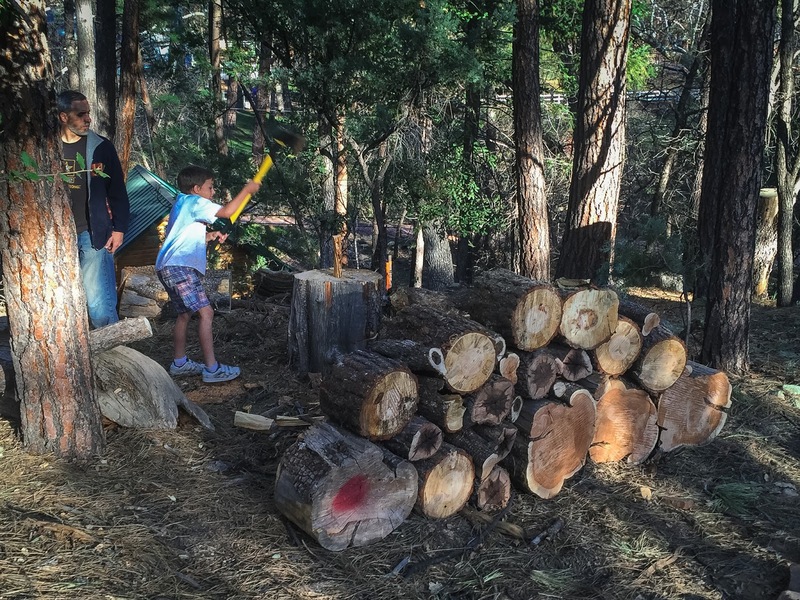 Chopping wood is real work. My job wasn't quite as difficult. I loaded the wheelbarrow with the split wood and stacked it on both sides of the front door for easy access to the fireplace that heated our house. Two pieces went this way then two pieces perpendicular, repeating that pattern as high as I could reach, being careful not to nick the cedar siding of the house. We repeated this routine so many times each winter--rarely speaking to each other but still together. These memories flooded back to me as I watched Brad teach Hyrum how to split a log up at the cabin last weekend. Funny. I was worried he might be too little or not strong enough . . . or something. It's weird how different parent expectations are when you grow up in the city and when you grow up in farm country. I'm sure Gary had a hatchet in his hand way before this age, and he grew up to be just fine. Hyrum loves to be included in "big people" things. I think he would have chopped kindling all evening if Brad had let him. My baby boy. I can't believe he is this big already. 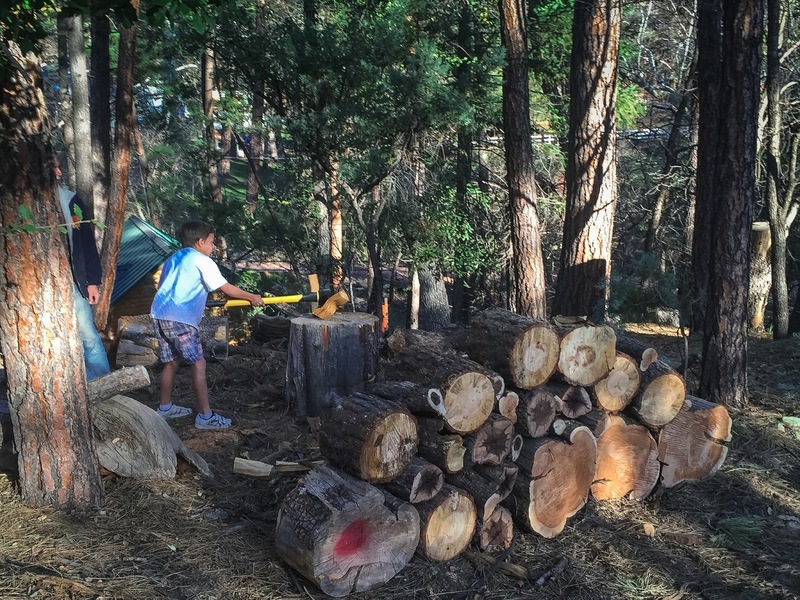 I'm pretty sure he wouldn't love splitting wood this much if he had to do it all winter long, but I'll let him enjoy it while he still thinks it's fun. I love these kinds of times with dads and sons. Aren't you lucky to have that wonderful place to frame it all?